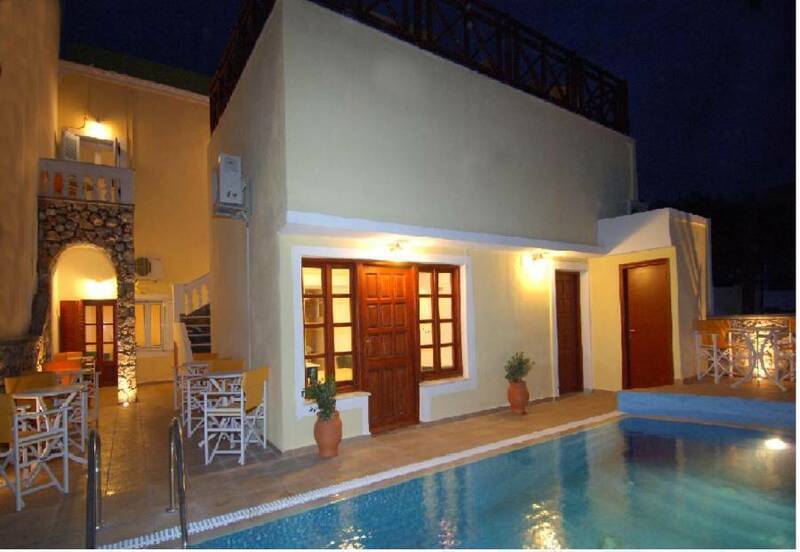 Dina's Place in Santorini combines reasonable rates, a friendly atmosphere and a really good location to jump start your holiday from. 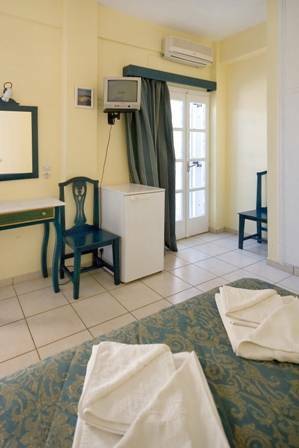 Dina's Place is situated in a quiet area in Fira town, Santorini Island's capital 5 min walk to the main bus terminal and Fira's main square. Make your way up through the picturesque back streets and discover all that Santorini has to offer - traditional tavernas, little shops, the intense nightlife scene, the Caldera & the Volcano. Or have a quick dip in our swimming pool furnished with sunbeds & umbrellas - a great way to start the day. The rooms for 1 to 4 persons are simply furnished but more than adequate. Our location is second to none; Dina's place is located on a quite side street just on the central town square. We have several ourside areas/courtyards and a lovely swimming pool with sun loungers. At the reception desk we are happy to help with infromation about what to see on the island, to help rent a car or moped, to book boat tours around the island. There is a central parking area, central safe box, daily cleaning services and left luggage room. We will organise free transfers of required. Cancellations must be received 48 hrs prior to arrival, or we will charge the cost of first night's accomodation.